Kay channelled this message in October 2010 from The Circle of The Light of The Love Energy. Agreeing to work with your spirit guide or guides is a most valuable ‘marriage’ that is available for you to enter, at any age, whenever you are ready. You will know when you are ready, your soul, spirit, essence will hear or sense the need and the call. Commit to this union with all your love, trust and loyalty and you will be in the service of the Light, a channel of love upon the Earth. Opportunities will be presented to you that will give much to you as you give to the Light and realise your potential. This message is in our first book Earth Messages of the Love Energy. This post contains a selection of shorter messages that Kay has channelled from The Circle of The Light of The Love Energy during 2009 and 2010. Heaven helps those that ask. We always are there when you ask. Live every day knowing we are with you when you ask. Draw on the Universal Energy – the source of All. Call on this cosmic power to help. 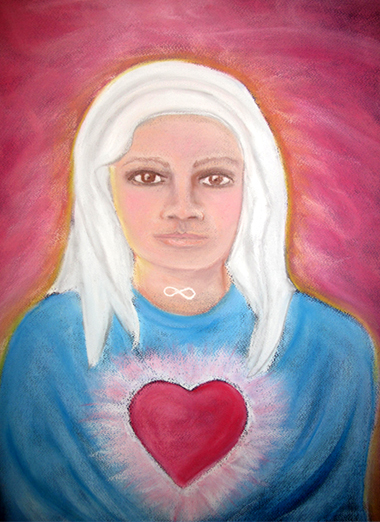 Blend; blend the inner life and the outward and come together as one – the spirit unite. The outward daily life has a purpose, as it will reveal the inner spirit. Separate yourself not from the spirit – you are one. The power of the spirit is available to you, so work with the spirit to achieve your aims. Justice will come from displaying and living from the heart. The messages that Key channels frequently ask that all thoughts, actions and deeds be from the heart – from only love. If everyone were to do this there would be no crime and there would indeed be justice for all. Seek only to be all that you are. Only all that you are – there is nothing else to be. These messages are in our first book Earth Messages of the Love Energy. Kay channelled this message in June 2010 from The Circle of The Light of The Love Energy. Wise people will exercise prudence in all their dealings in life. A hard thing to do – but very necessary in order to be assured. When working with spirit, exercise caution when speaking with others. Ensure that they are like minded and ready to grow. Without the readiness, words of wisdom and knowledge will fall on deaf ears and cause concern to the giver – the bearer of the wisdom. Wisdom is required on Earth at this time and those ‘called’ need to be aware of the need to not only deliver much needed messages, but to be cautious in their dealings with themselves and those they come in contact with. It is not an easy path, but it’s one that we ask to ensure that Earth meets its requirements to raise energy of love. When the human heart is at one with itself, the spirit within will be filled with joyous rapture. This will ignite and the spirit will expand connecting with the spirit without, providing much illumination for the human’s journey. Learning to trust the spirit within – then comes with connection to All That There Is – the true pure energy of life. It is important for the happiness of the soul to experience human emotions, allowing growth from every experience. Negativity needs to be released for true growth. Fulfilment comes from a happy heart. The soul will be nourished and shine and oneness will come and love will penetrate and emanate all. This time is like no other time. It is important to leave the past behind. Earth’s continuance is reliant on the current situation. The role you play of bringing the Love Energy through needs your focus in the now. Your awareness of your inner Light will shine even brighter when you’re in the now. Creation’s plan being played out on the Earth Plane needs all channels to focus on the now. This time when you focus on the now – you will be at peace, at one, with all that you are. Being in that focus will allow the Love Energy to flow from one to the other, to the next. Being in tune with who you are, knowing all there is to know about you will bring about the greatest change on Earth for all creation. Kay channelled this message on 22 June 2012 – from The Circle of The Light of The Love Energy. As you advance through this the 2012 year, be aware that you have nothing to fear. You have the Light secured so close and dear allowing the magnificence so unique and rare. To be upon the Earth this year for all to know and share the gift that brings a shift of Light – opening up what were once many closed doors. Reveal to the Creator your love and the Creator’s love will be revealed to you all. Kay channelled this message yesterday – 22 June 2012 – from The Circle of The Light of The Love Energy. Awakened ones who answered the call and are operating from the centre of their being are absorbing the new energy that arrived on your plane on the day of alignment. You are now holders of more light energy and as you assimilate with what you now hold the nearer to the Creator you be – crystalline beings steeped in Love and Light with heightened sensory perception and the awareness and ability to know the dimensionality of existence. We thank those that have harkened to our call. On the eve of the 11-11-11 , a time of alignment within the universe of Earth’s existence. A day of significance within the universe. Many days of alignment have been happening – over recent times, have been the most. This eve day, of the event of significance, will be the most important. It is the day of the One – the Oneness of All. It will lead on to the next significant time in the 2012 year that is spoken about so often in your circles today. But tomorrow is a great day for the Universe. The implementation of the co-operation of the consciousness of humankind is allowing the infill of new energy into the beings that are awakened, and their structure will change for the positive. They will be able to contain the energy and allow it to flow to others. It is a great time for the Earth when this happens. Let the Light be the governance of your life and let the Light lead you into receiving the New Energy that is upon the Earth. This energy is so special and it will give you the ability to move dimensionally. And it is a gradual process. You need to have time to receive it. So make as much time available to sit in the peace and receive. It is here for you. Please make time. Please receive. We hear you ask what is happening today? Within the White Light Ray. At one with the White Light Ray. I come tonight to talk about change. There are always changes going on in your world. And in your daily life you accept them. Perhaps with protest sometimes but life carries on. Change in your physical bodies at this time is awakening the essence of your being. This change is bringing about a wonderful awareness of who you are. Let it happen. Let this growth happen so you will be ready to greet the coming days, as we all help you as you head to 2012. This is a significant time for Earth. The significance is in the growth of its inhabitants. This is another of the earliest messages that Kay channelled from The Circle of The Light of The Love Energy when they were first asking us to spread the messages channelled from them through Kay. It was received in December 2009 and I am including it as background to the messages that have been received since. The above message is included in our first book Earth Messages of the Love Energy. Kay channelled this message in September 2010 from The Circle of The Light of The Love Energy. Within each human being upon Earth, abundance dwells. It is in the form of love. Love abides with you. It is God given. It is the inner spirit, soul, essence – is connected to the spirit without and provides all that is needed. Abundance is with you all. It will be realised when the spirit within is nurtured and through the searching that you are doing now, you are nurturing the spirit. So abundance will flourish for you in every possible way. Continue with your search; with the nourishment of the soul and you will know who you are and the rewards, by way of your God-given gifts being realised, will be before you.